This is a thought that I can certainly see the other side of, but I have to tell you our experience with putting our youngest on Reflex for slalom. We have three kids that slalom and trick. (Ages 9,11, and 13) All three have been on Reflex for trick for 1-2 years. As they will, kids grow over the winter and instead of buying/rebuilding their Wiley's we put the older two on Reflex for slalom. They already had the boots and I had some parts around that helped in the build. Now the older ones are about 100 lbs and 120 lbs respectively so they fit in the normal minimum requirements for weight that I have always heard for Reflex for slalom. (Around 100 lbs minimum) About this time I started hearing of younger kids on Reflex for slalom, particularly overseas. I made a couple of calls to people/coaches that have a lot of experience and that I highly respect. Both said that even though our little one is only 65 lbs she should be fine on the hardshell. Two caveats were that the fact that she used it already for trick, and that we be sure and test that they would release on dock multiple times over several sets. We made the change about 4 weeks ago. She free skied for a set and a half and then wanted to get in the course. We had her run her opening speed only for 2 sets. After that she went back to training as normal. She liked the comfort and her consistency went up. She has had a couple of crashes (as she tends to go for it) and releasing on one and having no ill effects from the others. Best news so far was a PB this weekend at JD's Cottonwood tourney and a tie (pending) of the current G1 regional record of [email protected] off! Ski Dawg's little one is about the same weight on also on Reflex now. She had a new PB this weekend as well. Now Reflex doesn't recommend their boot for less than 90 lbs., but there seems to be quite a few kids using them. I certainly understand if anyone doesn't feel comfortable with it, but in our case it seems to be a win-win.. Always glad to hear about the achievements of junior skiers! And I am a firm believer in a safe release system for young skiers, my kids grew up skiing on the OB4 style system. 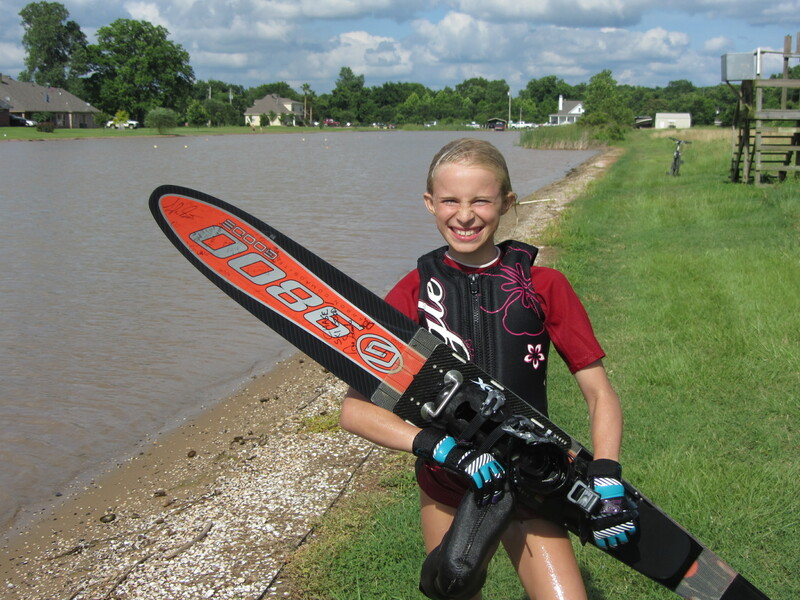 OB4 Systems has a special offer for juniors that want to join Team OB4 and compete in slalom and tricks. If you have a junior skier, inquire at OB4systems.com.